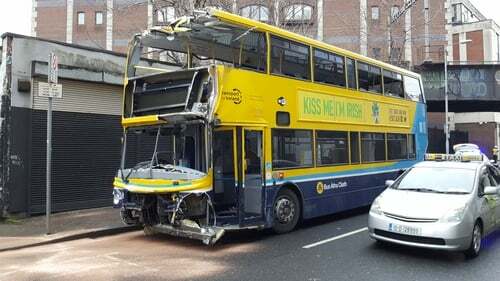 Three people were injured this morning in a collision between a Dublin Bus and a van. The bus driver and two people in the van were taken to hospital with minor injuries. There were no passengers on the bus at the time of the collision. The crash happened at the junction of Shaw Street and Townsend Street.